Thomas Coles, managing director of MSM Software puts down the reasons why he thinks businesses need to allow employees to bring their own smartphones and tablets to work. A recent survey by IDG reported in TechRadar found nearly 92 per cent of companies had employees using personal devices for work in some capacity and this is set to increase further in the next 12 months. This strong upsurge in the number of professionals owning their own tablet means that the mainstream adoption by businesses of Bring Your Own Device (BYOD) schemes, where employees bring personally-owned mobile devices to their place of work, seems like a foregone conclusion. However, its introduction is causing firms headaches, and the statistics on how businesses are coping with BYOD are concerning. According to research by Tenable, 90 per cent of UK firms fear mobile devices pose a danger to their business while one fifth are not controlling mobile device usage at all. For me, these statistics demonstrate that businesses have a lack of control over the introduction of mobile technology and its usage by workers. This in turn could leave firms open to security and data protection issues, if its adoption is not managed correctly. 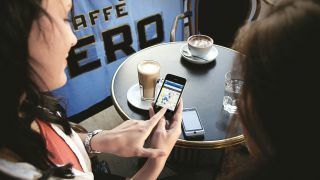 Whilst businesses understand that mobile devices pose a significant threat, I am very concerned that there remains a disconnect between the perceived danger of BYOD and the limited actions being taken to resolve these issues. I believe demand for BYOD adoption will only increase as people expect their work devices and applications to be as powerful and easy to use as those at home. While this will result in IT network management becoming more complex and challenging, both internally and externally, employers who refuse to service these demands may eventually struggle to attract the best talent. "Rather than fighting BYOD, businesses must embrace it"
BYOD provides an easy solution, and it is my firm belief that rather than fighting BYOD, businesses must embrace it; implementing clear policies to facilitate its introduction and ongoing management. Businesses must act quickly, finding secure, efficient ways to give employees' access to BYOD, while protecting data and operations. Plans must be implemented so that organisations can see what's happening and ensure they retain control over security. BYOD represents a new age of increased mobility for employees, and I believe this to be the reason why 90 per cent of UK firms fear company-wide introduction of mobile devices. The higher level of freedom created by BYOD does present a threat which must be considered. With employees working independently, a silo culture could seep in, causing widespread confusion and communication issues. Alongside this, platform-dependent software applications may also create technology and data compatibility issues for the business. Mobile devices hold a host of data, and are often carried around in people's pockets or bags, where they can be easily misplaced or stolen. It may also be difficult for an organisation's IT team to effectively monitor all employees' remote mobile devices and their compliance with business-wide security policies. In my opinion, cloud services have a central role to play, both in enabling employee mobility and in providing businesses with mobile-data security-management solutions of the future. Cloud services for example, have the ability to store data in a secure environment, thereby removing a key area of vulnerability for businesses, if an employee's device is lost or stolen. Cloud solutions can also remove the need for employees to store data locally and can enable businesses to understand the bigger picture of where information rests and flows within their network. This can help an organisation to facilitate communication, anticipate glitches and remove potential performance deviations, and protect itself from a silo mentality creeping into the business. Cloud-based infrastructures hold the key to business not having to fear mobile devices. As BYOD becomes more widespread, organisations should take advantage of cloud developments by implementing infrastructures that ease the BYOD transition and support employee mobile devices accessing company networks. Businesses could also consider IT outsourcing to allow a company's in-house team to focus on their core activities, whilst bringing in dedicated, technical specialists to act as an extension to manage the BYOD transition. Outsourced specialists can offer accessible online storage, backup and collaboration that only a few years ago would not have been affordable to the majority of businesses. As the demand for BYOD increases, businesses must overcome their concerns and instead implement plans to manage loss of control. By doing this organisations will come to recognise BYOD's benefits; such as greater organisational flexibility, through an effective IT solution that copes with variable staffing levels, and a higher level of freedom and job satisfaction for workers, which can bring improvements in efficiency and productivity. Mobile devices entering the workplace represent an interesting combination of opportunity and threat. However, our working environments are changing rapidly, and it is clear that the BYOD movement is here to stay and will increasingly become more pervasive in business. The key question facing businesses is how to benefit from BYOD while still maintaining compliant, efficient and cost-effective processes. In my opinion, only through effective planning and ensuring the right software is tailored accordingly to support these changes will BYOD provide productivity benefits without organisations having to fear its implementation.